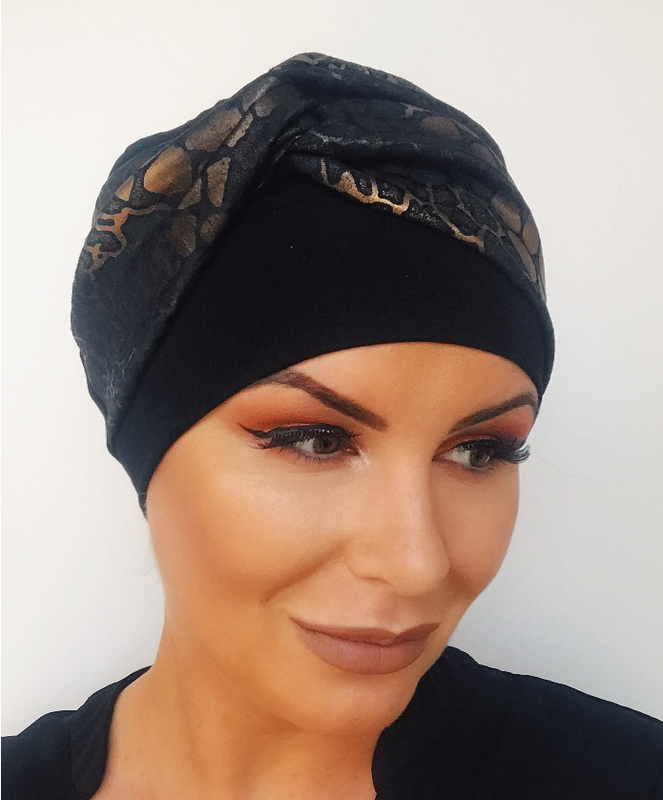 Elegant chemo hat perfect for evening or for the upcoming party season. Bamboo hair loss hat with rouched material to provide height and extra detail at the front of the head. Can be dressed up with a simple brooch.